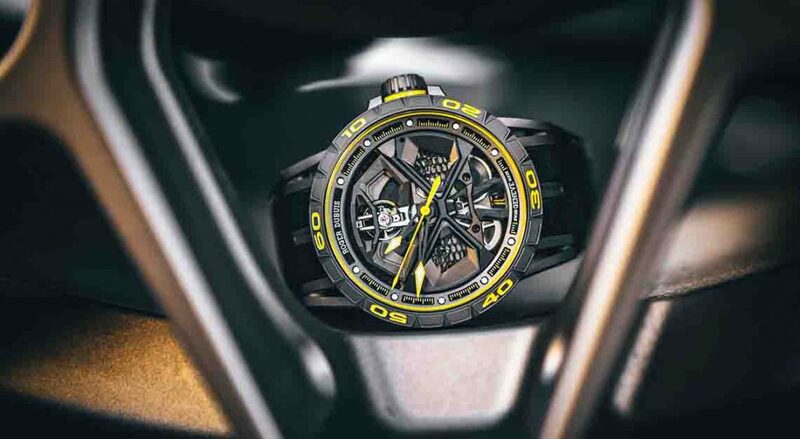 When the watchmaker Roger Dubuis joined forces with automotive icon Lamborghini, it felt like a natural partnership. After all, both brands thrive on a reputation for daring looks and cutting-edge engineering. The first fruit of that partnership was the Excalibur Aventador S, which was as loud (visually) as its namesake’s V12 engine (audibly), released in late 2017. It was only a matter of time that the Aventador’s stablemate, the V10-equipped Lamborghini Huracan, would receive a timepiece of its own. 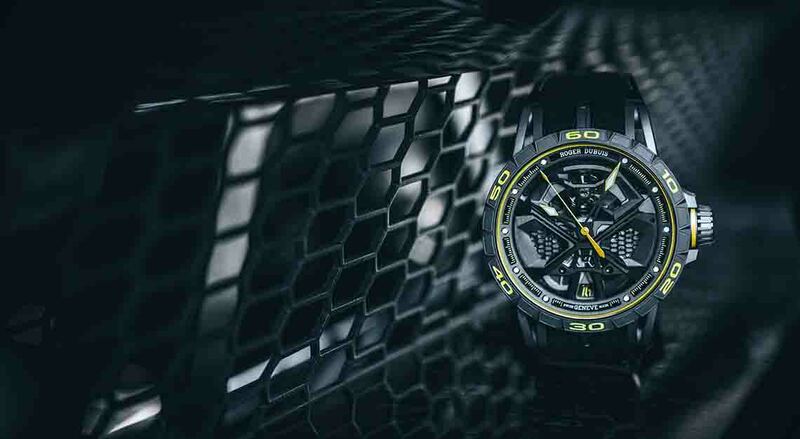 And it is now here: the Roger Dubuis Excalibur Huracan Performante has been unleashed, limited to 88 pieces worldwide. It is big, with a case diameter of 45mm, and it is bold — but not quite as much as its predecessor. 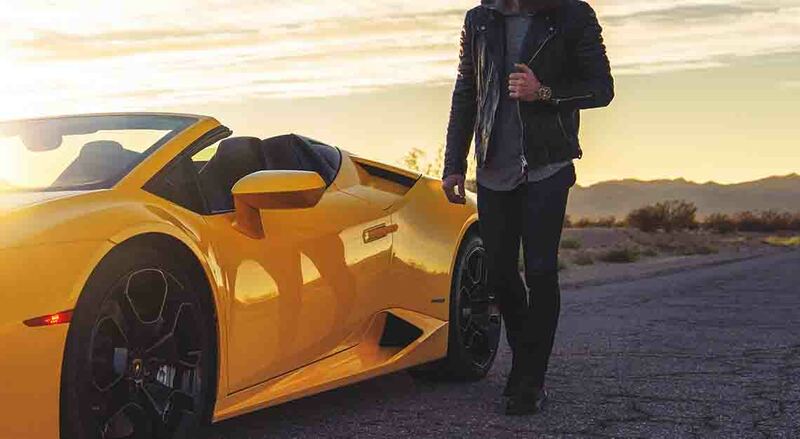 This plays nicely into the spirit of the car that inspired it, as the Huracan is known as the more obliging and easier to handle of the two Lamborghini models. As before, a new calibre has been developed just for this watch. The RD630 movement is automatic, with 60 hours of power reserve. The rotor, as well, is reminiscent of the Huracan’s wheels. 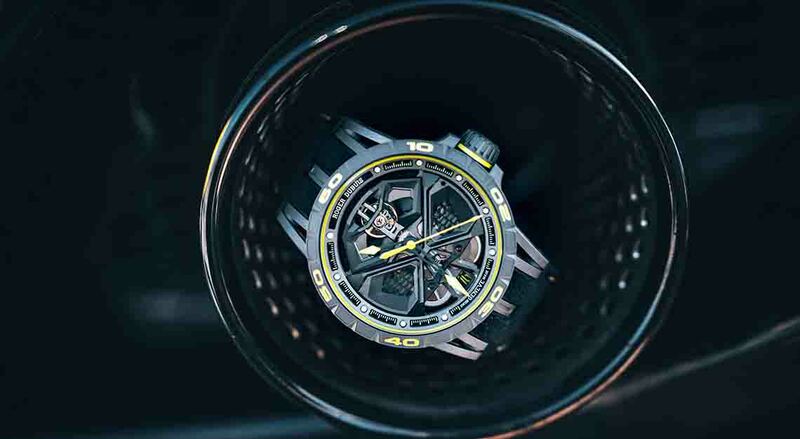 The dial shows off the inclined balance wheel, but otherwise sports a grille design that is not as open and contributes to the toned-down aesthetic. Instead of an ‘engine cover’ as on the Excalibur Aventador S, the watch has a ‘spoiler’ that acts as a decorative bridge. 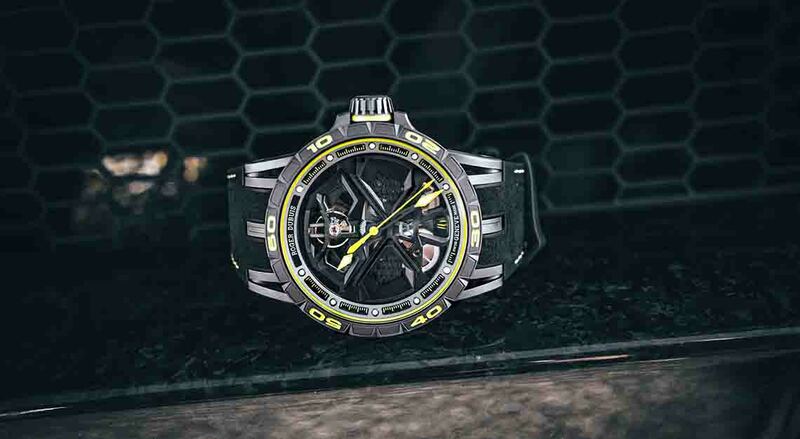 The watch is predominantly black, but yellow accents on the hands, bezel, crown and strap ensure a classic Lamborghini look.